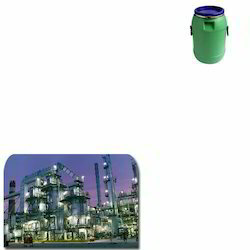 We are a leading Manufacturer of open mouth drum for chemical industry from Mumbai, India. Backed by rich industry experience and knowledge, we are engaged in offering Open Mouth Drum for Chemical Industry. Our workers use their knowledge and practice in manufacturing the offered open mouth drums so as to maintain set industrial standards. These open mouth drums are provided in numerous sizes, and designs according to the market preferences. Furthermore, the offered open mouth drums can be taken at reasonable rates within the promised time - frame. Looking for Open Mouth Drum for Chemical Industry ?